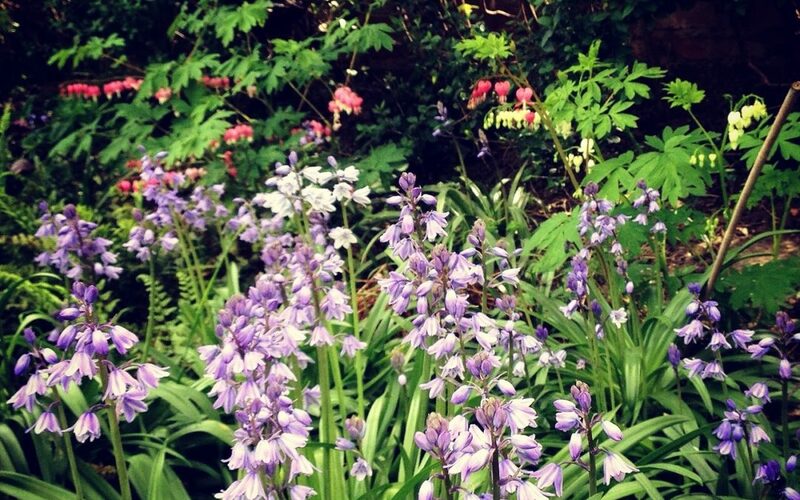 Bleeding hearts and blue bells looking stunning in the shade. 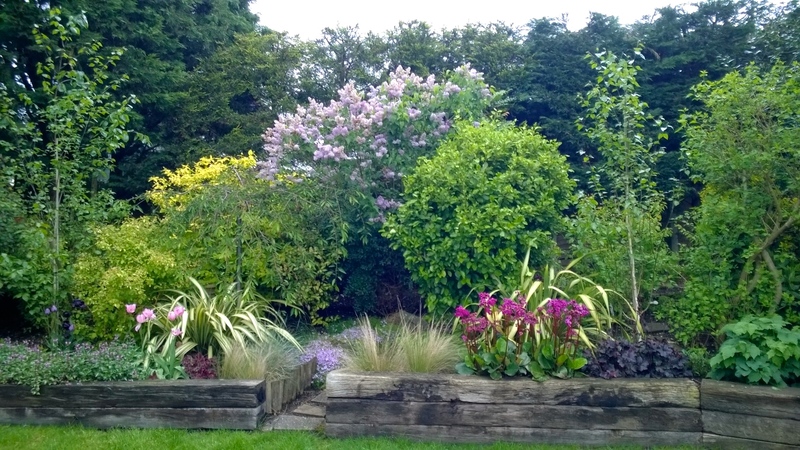 This garden was designed and built a year ago and the spring flowers are gorgeous. In the same garden as the one above I planted this combination of dark tulips and alliums and the combination is stunning. The purple irises are planted in soil and the yellow ones are in the pond as they are water irises. 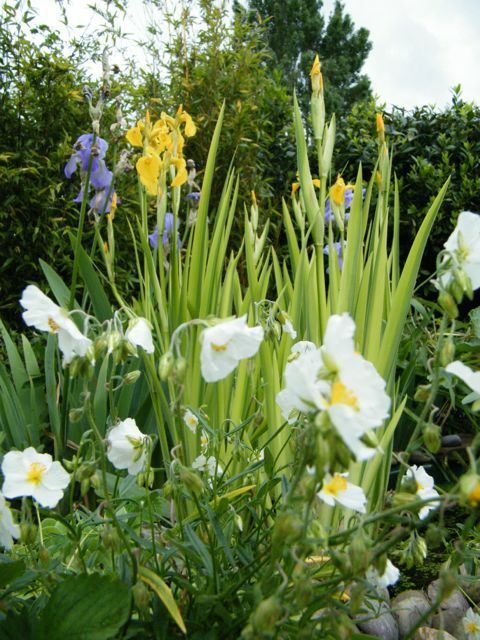 The delicate helianthemums create a delicate grounding for the strap leaves of the irises.